Contempt occurs when a person fails to comply with a court order. Settlement agreements signed by a judge, standardized court discovery forms, judicial orders and direct requests by a judge can all constitute court orders. Contempt is a serious charge that can subject you to fines and jail time. In divorce proceedings, contempt can be used against you. For example, a previous failure to comply with a custody order may be used as evidence that you are unwilling to protect your child's best interests. During divorce and child custody proceedings, each party may send the other discovery requests, such as interrogatories and notices to produce. You must answer these requests to the best of your ability. If you fail to adequately answer discovery requests after a lengthy period of time, or fail to produce documents the judge has requested, you may be held in contempt. 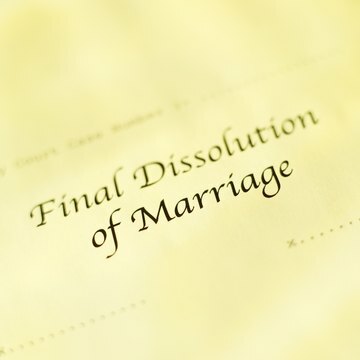 Divorce proceedings tend to be emotionally charged and parties to a divorce may have difficulty controlling their emotions. Judges are unlikely to tolerate outbursts in a courtroom. A mild outburst will generally get you a warning, but if you do it again, you may be held in contempt. Extreme outbursts, such as yelling at the other party, can immediately land you in contempt of court. Some judges also have rules about cell phones ringing in court and may charge a party with contempt if her cell phone rings aloud multiple times. You must obey all custody orders issued by the court, including settlement agreements, temporary custody orders and final custody orders. Custodial interference can constitute contempt of court and is a crime in its own right in several states. This charge can also interfere with your visitation or custodial rights. Many states consider a parent's willingness to maintain their child's relationship with the other parent when making custody decisions; thus, a parent who has interfered with custody is typically viewed with skepticism. Failure to turn over property to your spouse when you have been ordered to do so may constitute contempt. Failing to pay child support is also a form of contempt. Judges may be more lenient with financial forms of contempt if you can show the failure to pay was due to financial hardship. However, if you are experiencing a hardship, you should notify the court prior to the time the payment is due to avoid charges of contempt. If there is a protective or restraining order in your case, violating it may constitute contempt. Violating a restraining order is frequently its own crime. If you're not sure how to avoid violating your restraining order, consult an attorney. You cannot be held in contempt of court if you did not know an order existed or did not receive discovery requests. You may, however, be required to explain how you did not receive the order to the judge. Violating an order with an unclear meaning is also not contempt. For example, if your custody agreement says that you have your child every fifth weekend, but it was difficult to determine if the weekend you kept the child was the fifth or first weekend, this would not be contempt. What Is an Ex Parte Custody Order? Hearing both sides of a custody dispute is an important part of ensuring that the court makes an informed decision regarding your child. However, in some cases, threats to the child's well-being create an urgency requiring a judge to act without the participation of your spouse. In these limited circumstances, a court may act based on your testimony alone and issue what are known as temporary "ex parte" orders. States vary on the process for obtaining these orders as well as how long they remain in effect before a full hearing must be held. Can My Ex Delay Our Custody Hearing?